Karl Marx is 200 years old. And yet, whenever Marx seems dead and buried, a new moment of economic or political crisis brings Marx’s critical understanding of capitalism back to the fore. In Marx Now, a two-day symposium co-presented by the Goethe-Institut New York and the Brooklyn Institute for Social Research, leading scholars, activists, and artists will discuss, in a series of panels and learning sessions, why Marx endures: how does Marx speak to our moment of extraordinary inequality, political upheaval, fractured identity, ecological degradation, technological acceleration, alienation, and exhaustion? To answer, presenters and audience members will draw from stories, objects, scholarship, art works, and the lessons of contemporary politics. 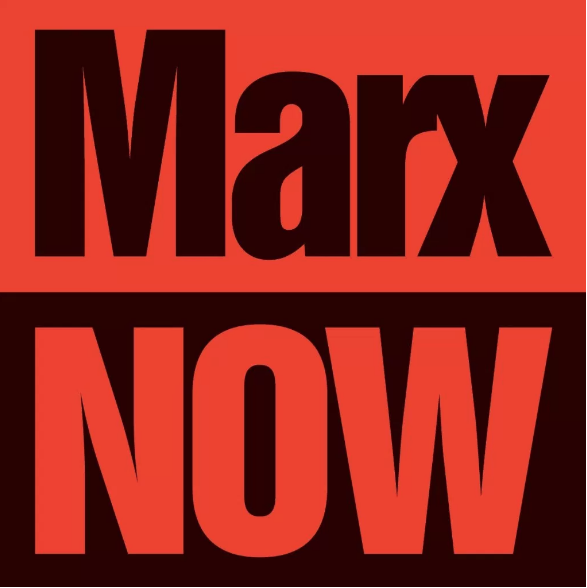 Marx Now begins Saturday evening, May 5th, with a panel addressed to our guiding question, “Why Marx Now?” The symposium continues throughout the day Sunday, May 6th, with panels on the topics of “Marx and Political Identity”; “Ecology, Technology, and Capitalism”; the “Poetics and Aesthetics of Marx”; and, in the perennial formulation, “What is to be Done?” Between panels, Brooklyn Institute faculty members will lead learning sessions on the early Marx and alienation; Marx on slavery and the Civil War; and Marx and the Caribbean. Participants include Anwar Shaikh, Drucilla Cornell, McKenzie Wark, Kali Akuno, Benjamin Kunkel, Shuja Haider, Chiara Bottici, Kate Aronoff, Maria Svart, Malik Gaines, A.K. Burns, Juliana Spahr, Marshall Steinbaum, Brooklyn Institute faculty, and more. For a complete schedule and list of participants, click here. Marx Now: A Symposium is part of Marx Now, a three-week series of events, including film screenings, organized by Goethe-Institut New York in partnership with Anthology Film Archives and the Brooklyn Institute for Social Research.